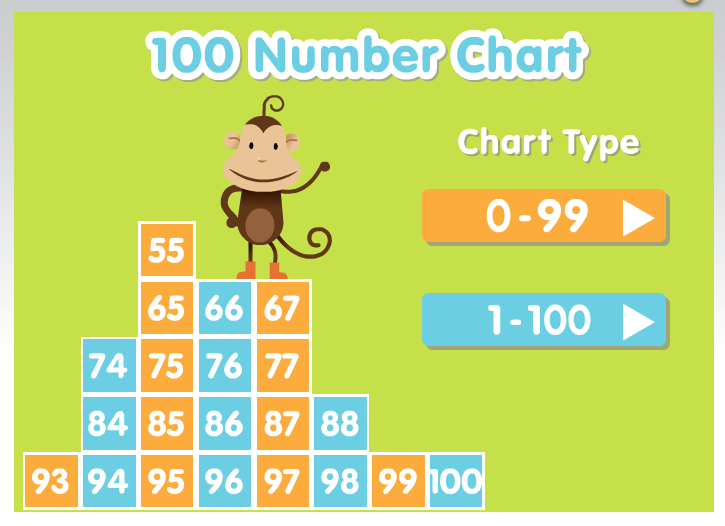 ABCya's Number Chart is a simple but fun online activity for elementary school students. 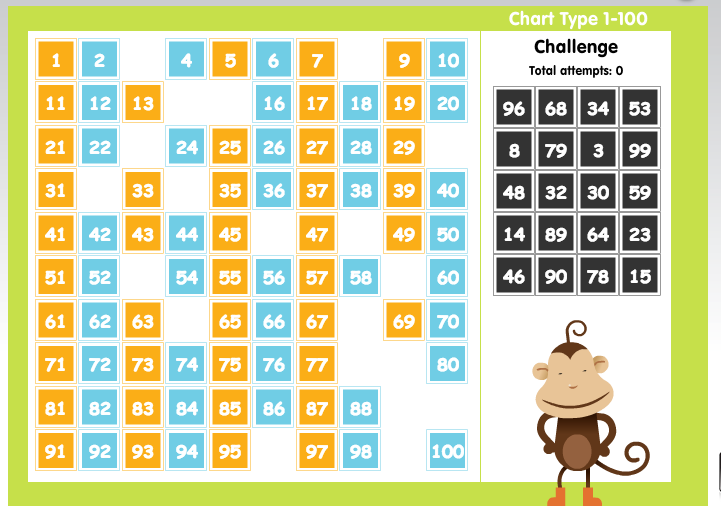 The chart offers "beginner" and "challenge" activities. In both activity levels students have to drag numbers into their proper places on a number line. In the "beginner" level students are shown a number line of ten numbers at a time. In the "challenge" activities students are shown numbers 1-100 and have to drag the missing numbers into place in the number line. ABCya's Number Chart isn't a revolutionary online activity by any stretch of the imagination. That said, it is a well-designed and fun little practice activity for young students. ABCya's browser-based activities are now written in HTML5 which means that they will work on iPads and Android tablets.